As I started to learn new techniques, I began to collect different materials to work with. Somewhere in the shops I stumbled upon this round dark blue agate. It’s been lying in my creativity box for a while, and finally I got an inspiration to start working with the stone. 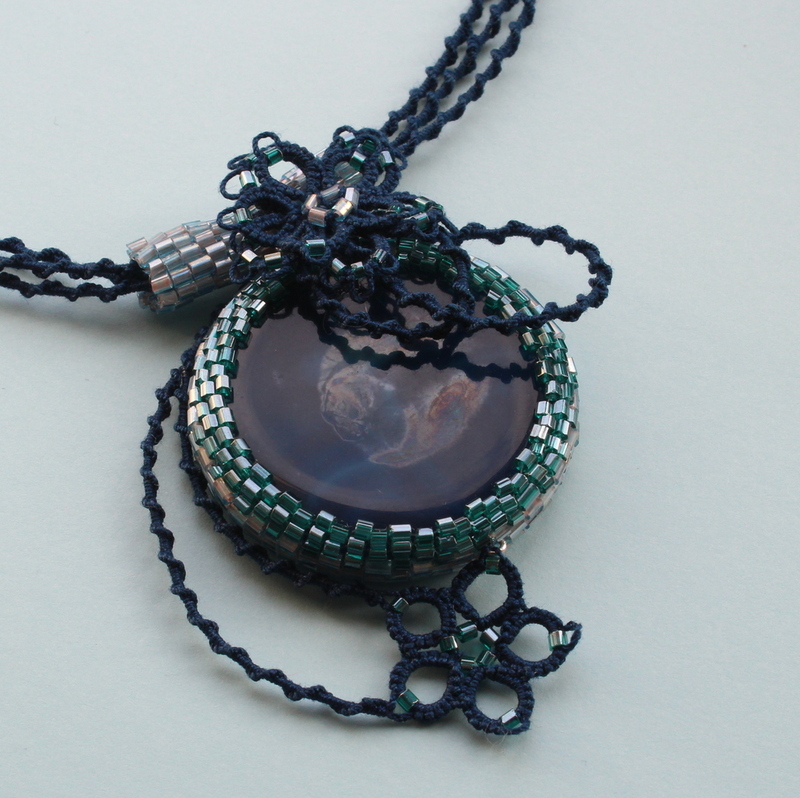 I wrapped it with a beaded ring and completed the design with small matching frivolite elements. 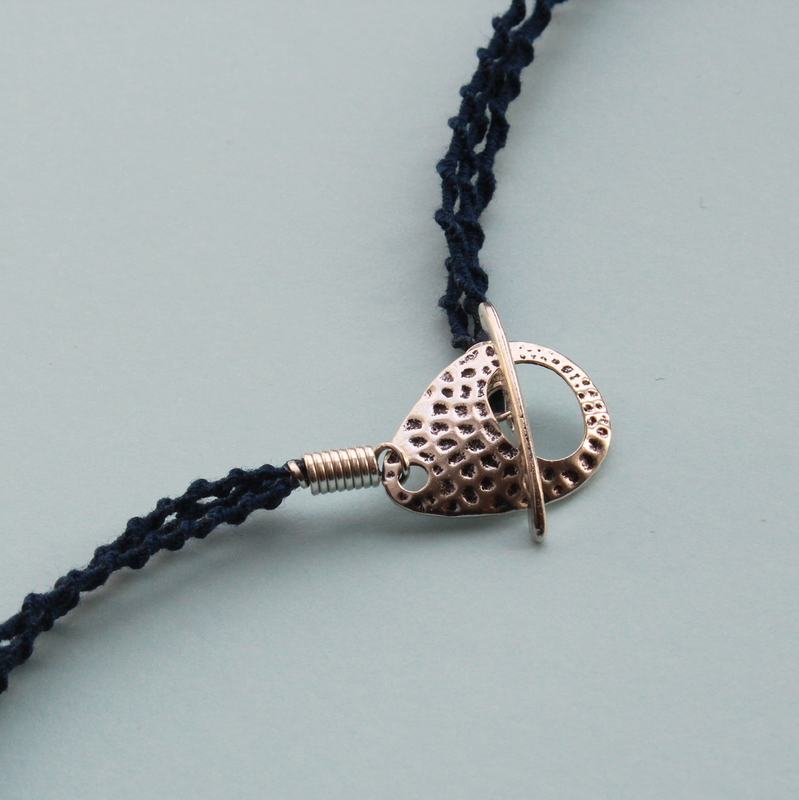 The asymmetrical pendant comes with a tatted necklace consisting of three spiral cords. 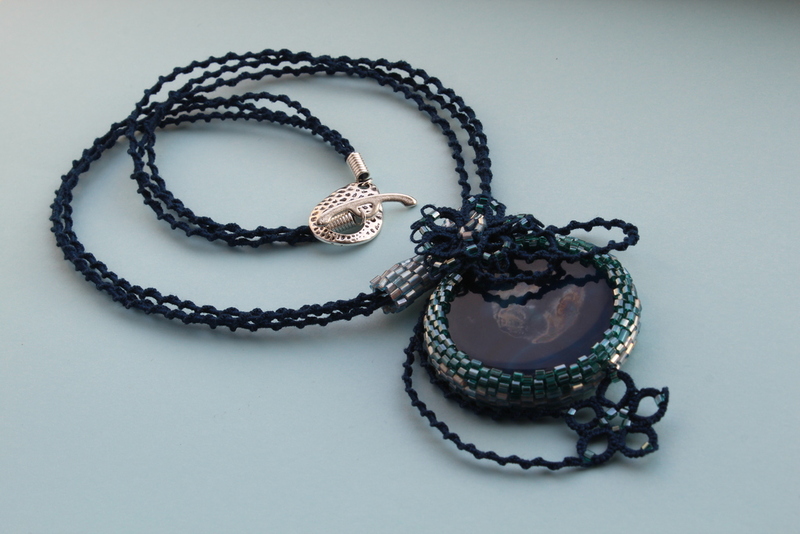 Antiallergic toggle clasp creates a neat finishing.